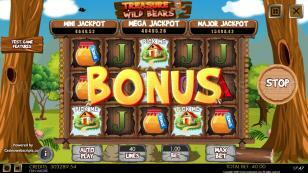 This game is a clone of Treasure of the Wild Bears (it has the same graphics, RTP, features). 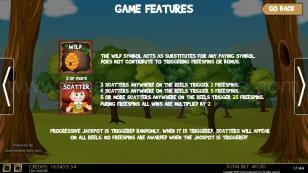 The difference between the two games is that the game from the current page is mobile compatible. 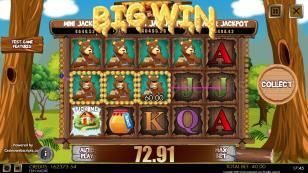 Live the adventure of the Bear family in their habitat. 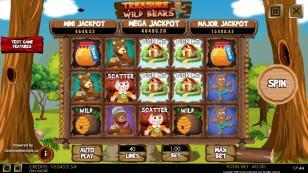 They live deep in the forest surrounded by WILD things. 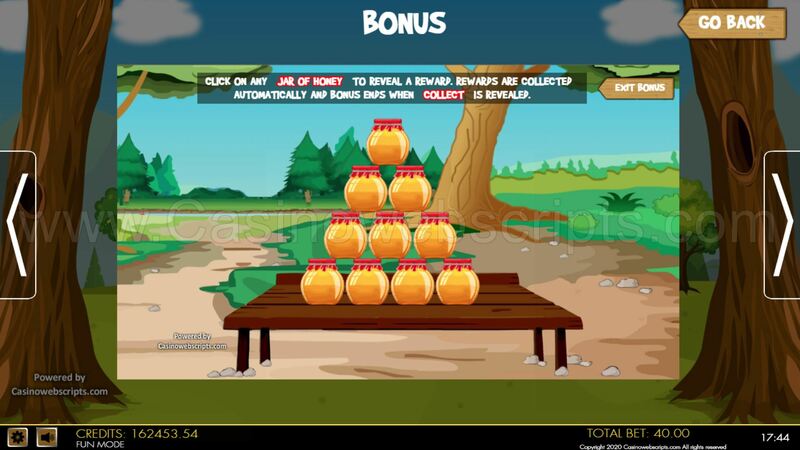 Deep down in their house, a treasure lies very well hidden. 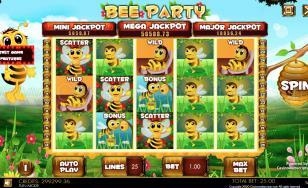 Everyday, they venture into the wild forest to bring food for their children, but today something went wrong and the family got split. 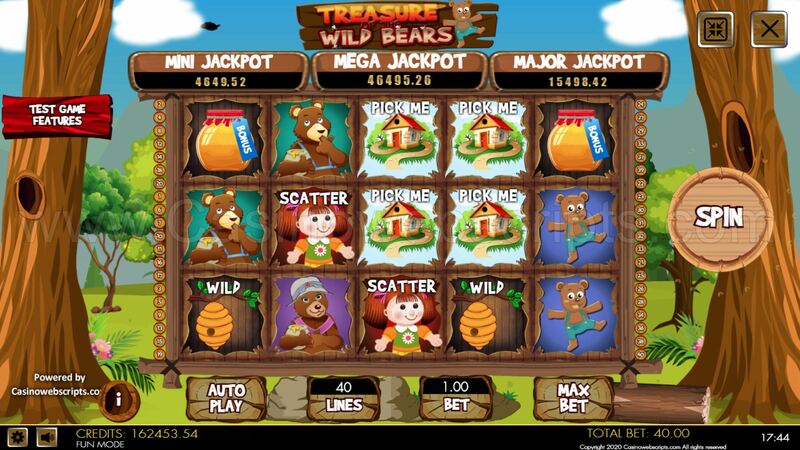 Reunite them together on the same active payline, and they will give you one of their family treasures. 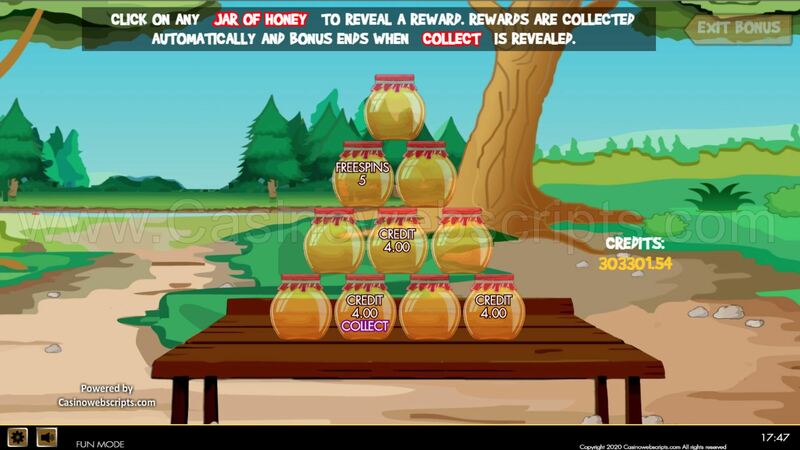 Hit 3 or more beehive symbols anywhere on the screen and help the Papa bear collect honey for his family. 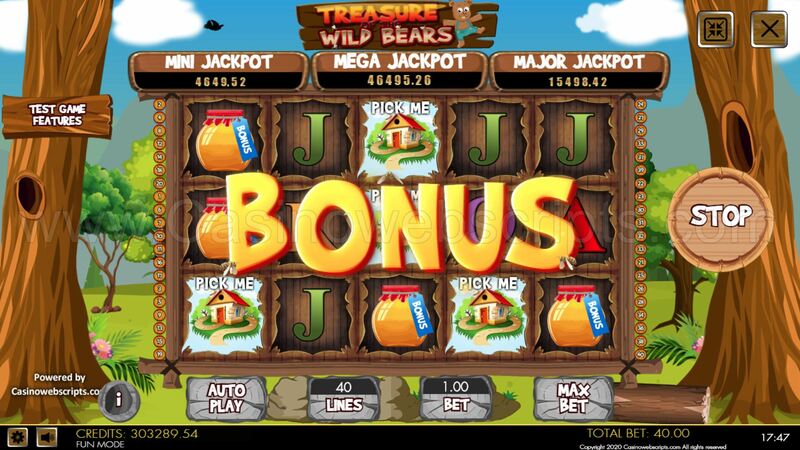 Treasure of the Wild Bears, is a lovely game about family and living in the wilderness, filled with many surprises for lucky fellows like you! 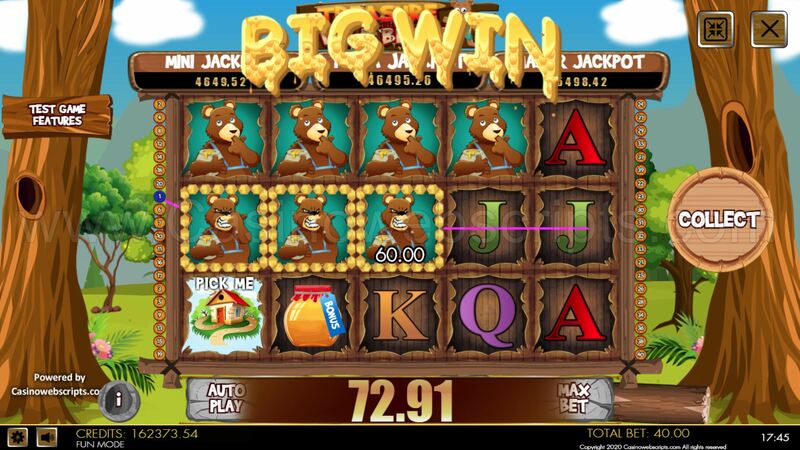 When MAMA bear, PAPA bear and BOY bear will appear on an active payline, FAMILY BONUS will be triggered. 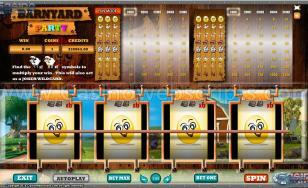 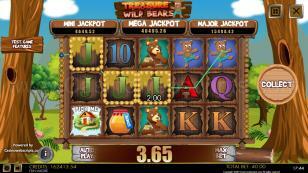 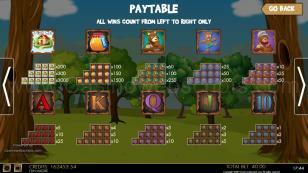 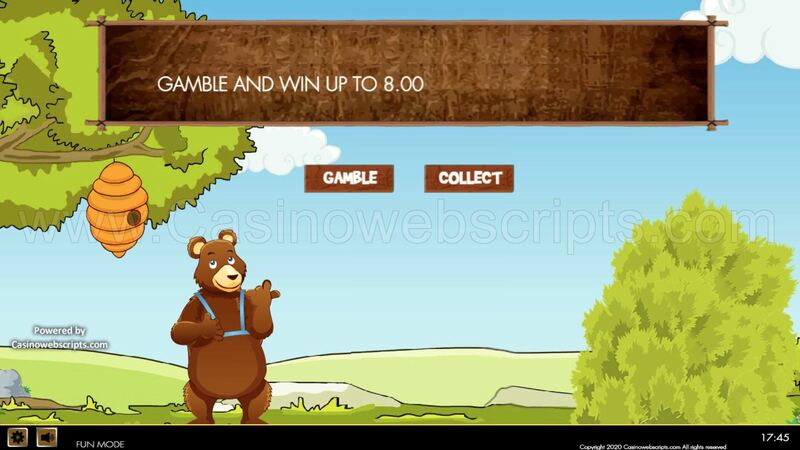 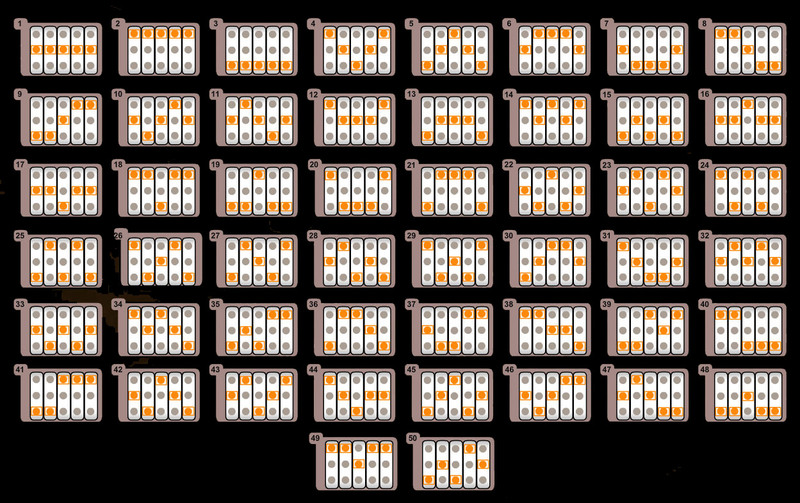 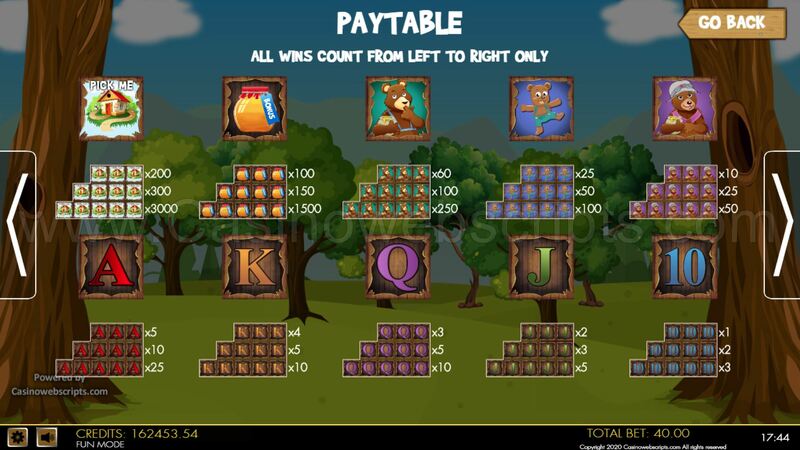 When FAMILY BONUS is triggered, three boards with the bears will appear on the screen, each hiding a reward. Select one of the bears to reveal and collect your reward. 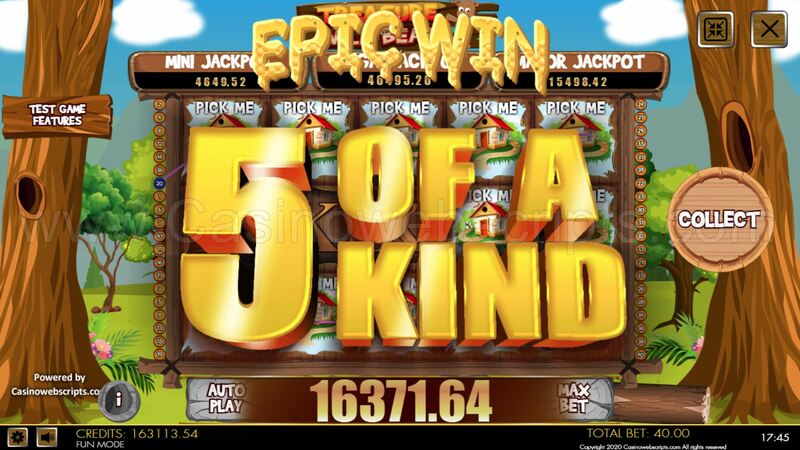 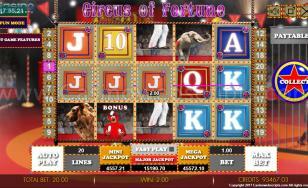 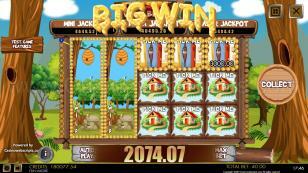 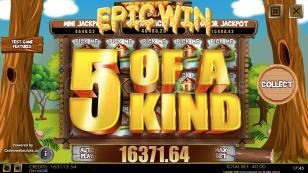 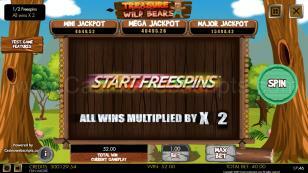 You can win FREESPINS, CREDIT or one of the three JACKPOTS. 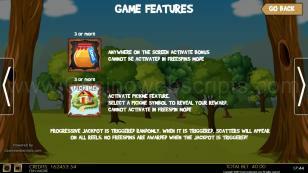 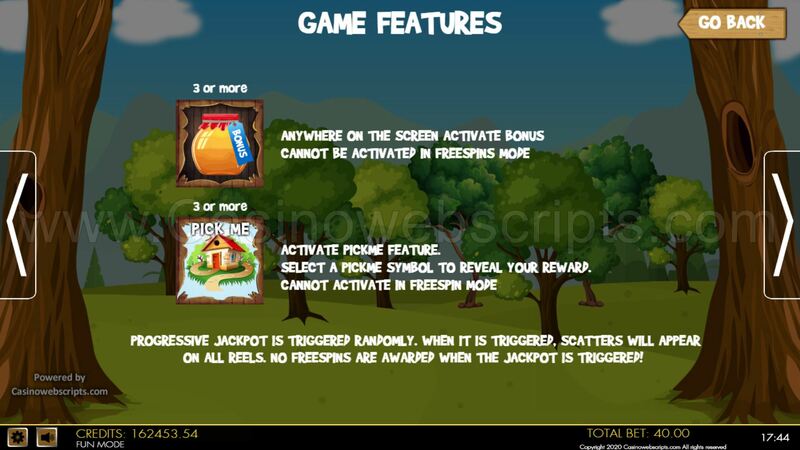 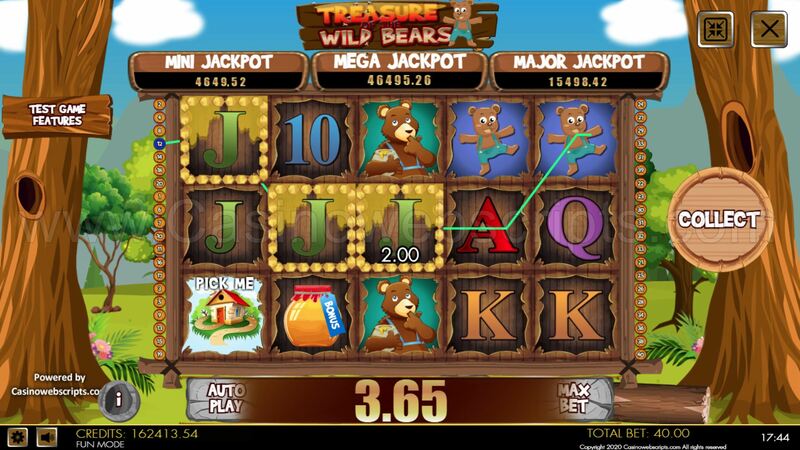 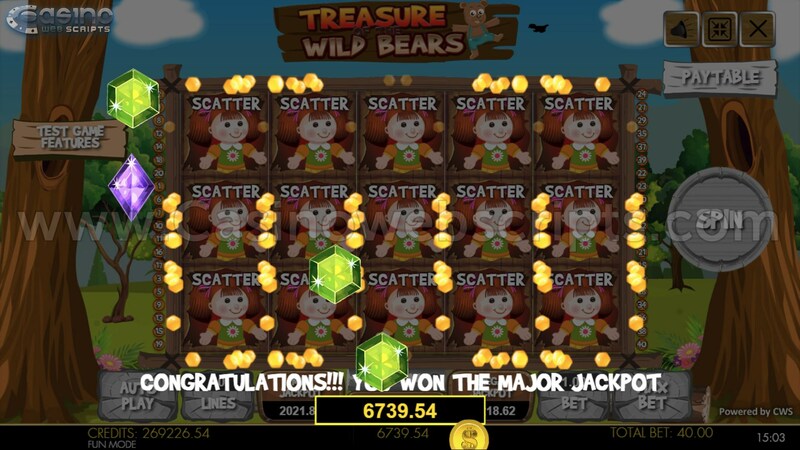 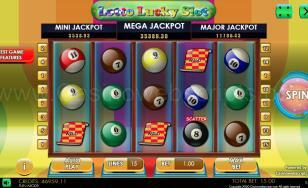 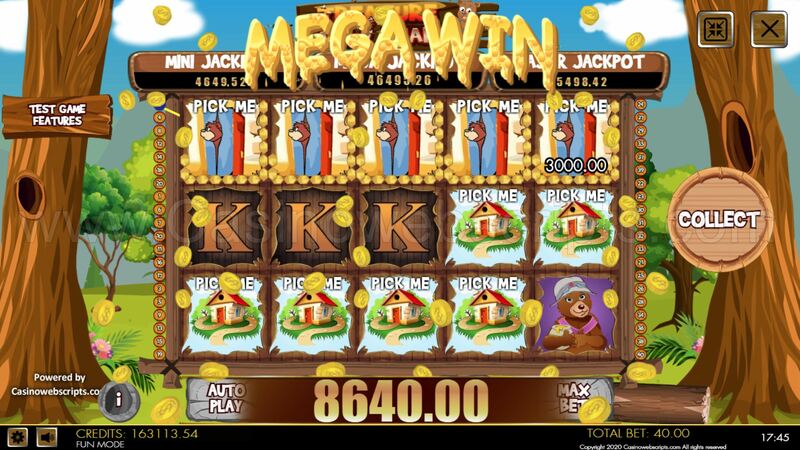 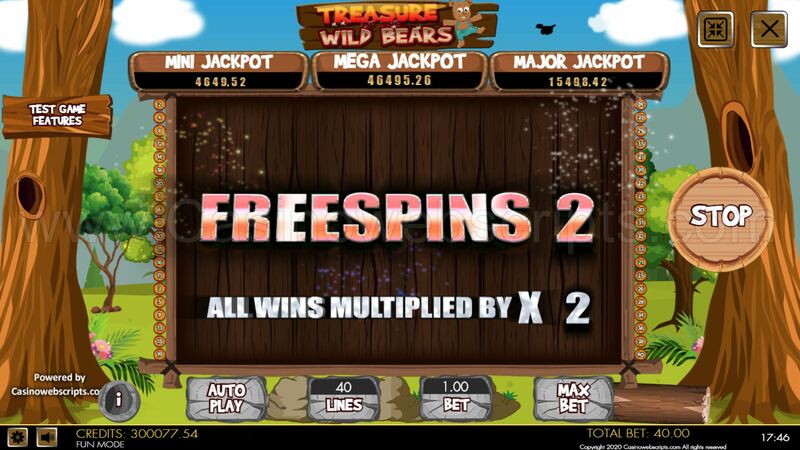 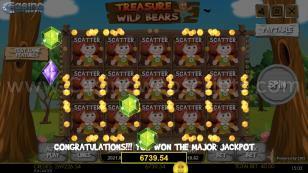 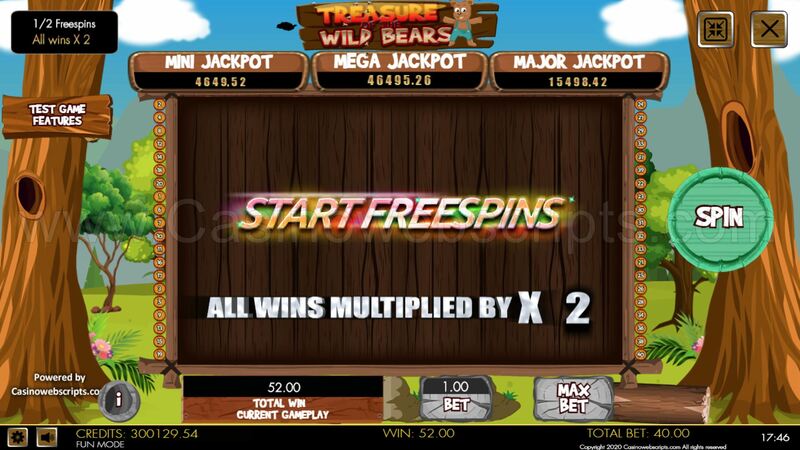 When 3x Scatter symbols appear anywhere in the screen, you are rewarded with 3 FREESPINS. 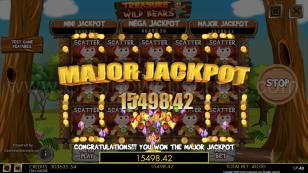 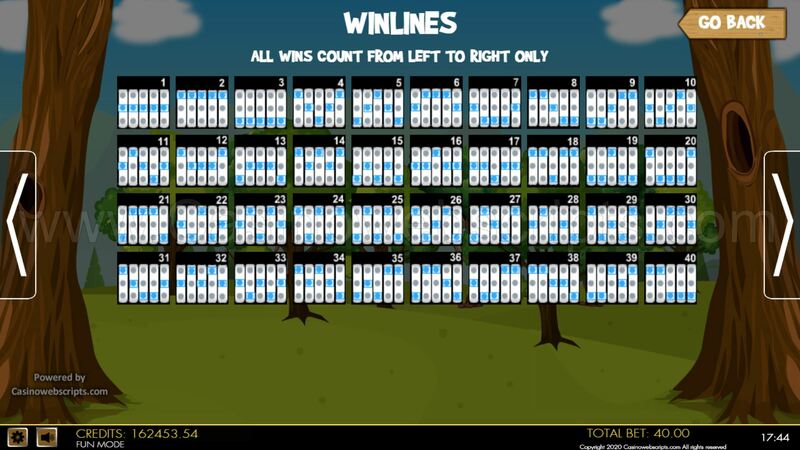 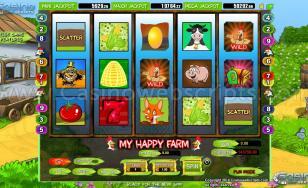 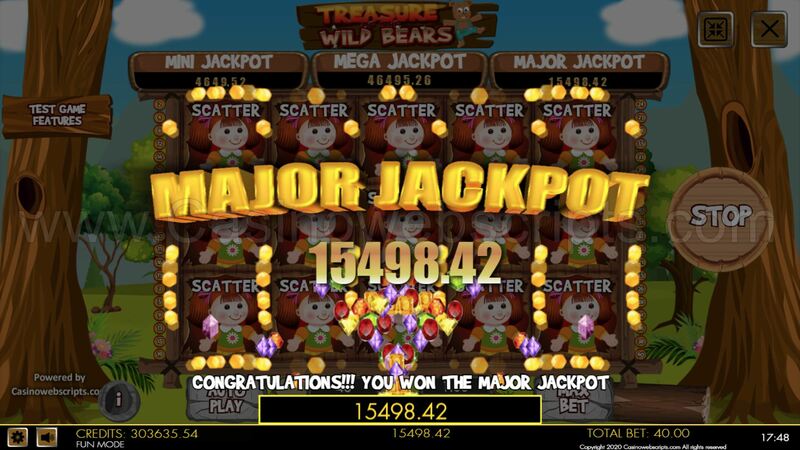 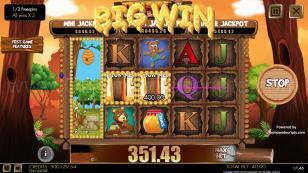 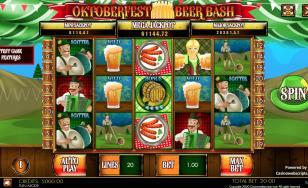 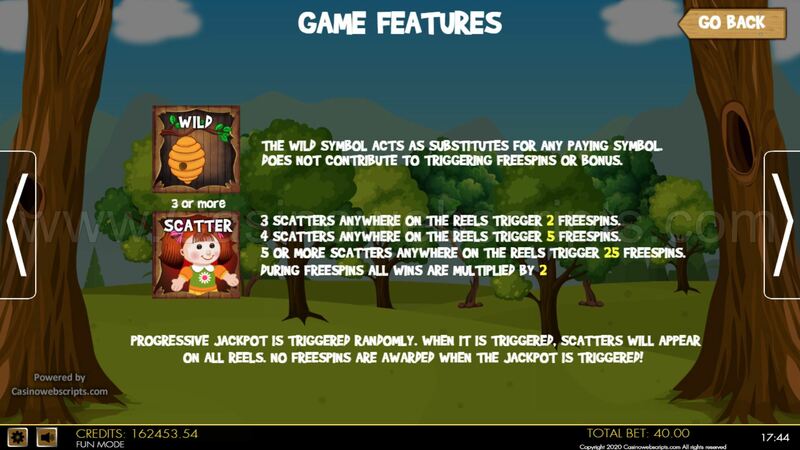 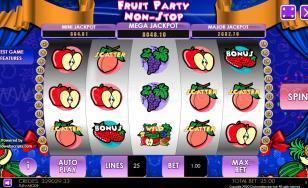 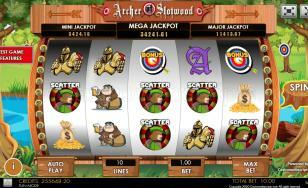 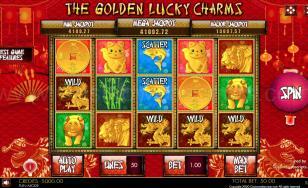 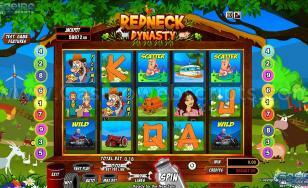 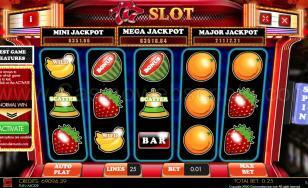 When 5x Scatter symbols or more appear anywhere in the screen, you are rewarded with 40 FREESPINS.